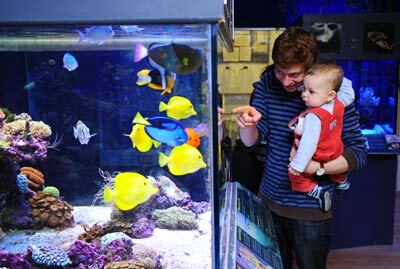 Our aquarium in Falmouth, Cornwall, is a fun, affordable and educational look at the marine world. Located in the town centre, we are a charity that promotes the conservation of fascinating marine wildlife. 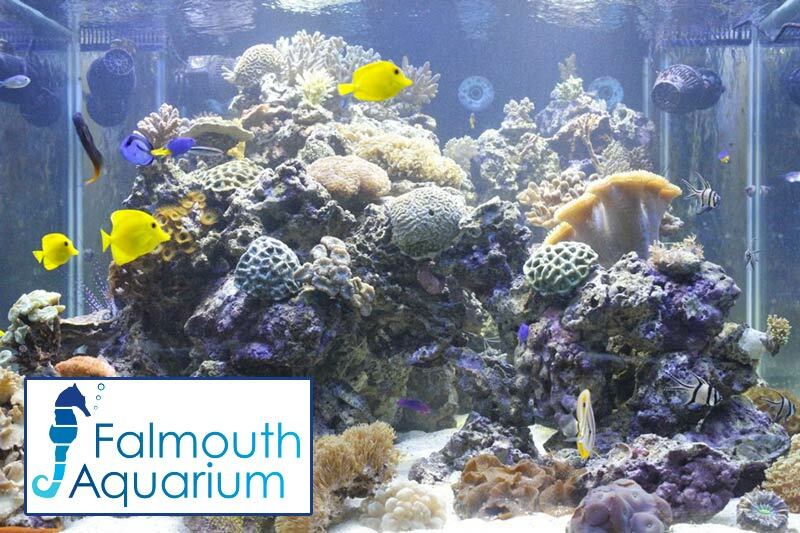 Falmouth Aquarium is located in a four-storey town house in the heart of Falmouth- a popular maritime town with a long history entwined with the sea. Across the floors there are 13 tanks teeming with marine life, accompanied by descriptions of their importance. There are displays and interactive videos on how coral lives and grows, how the ocean filters its water and various marine conservation issues. Uniquely, the Falmouth Aquarium combines the live marine life exhibits commonly found in aquariums with artefacts and the type of media found in museums. The aquarium utilises a combination of live animal exhibits, multimedia, fossils, skeletons and models to create a multidimensional experience of how our oceans work. 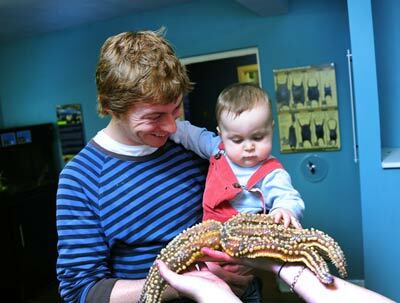 Falmouth Aquarium is a unique Cornish charity with local and international links. With more than 50 species of fish and shellfish are regularly fished in Cornwall, it is our aim to get people interested in the importance of marine life. 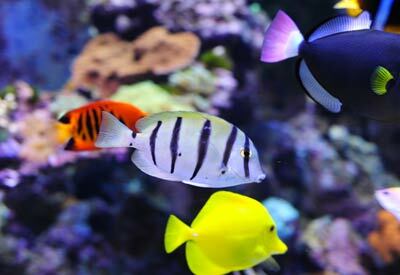 The ground floor is primarily devoted to coral reefs with 8 large aquarium tanks focusing on coral reef environments. These are teeming with colourful and exotic marine lifeforms including clownfish, moray eels, garden eels, shrimp, starfish and pipefish. See our corals grow and learn about the problems corals face in the oceans today. The first floor is devoted to the Cornish coastline and its treasures, emphasising the natural history on our doorstep- including a tank replicating a pier and what lives beneath it. This area contains tanks with mullet, crabs, lobster and wrasse. The second floor focuses on marine education and conservation issues around the world, complete with a life-sized loggerhead turtle model- demonstrating their grandness yet vulnerability. There are also fossils, shark jaws, artefacts and movies on marine life. A great way to learn about marine life and marine conservation of some of the most popular species in our seas- such as turtles and sharks! The 'Oceans Today' exhibit is an interactive learning experience for all ages where you can learn about Ocean Life, Ocean News, Science and Technology, and recent discoveries. 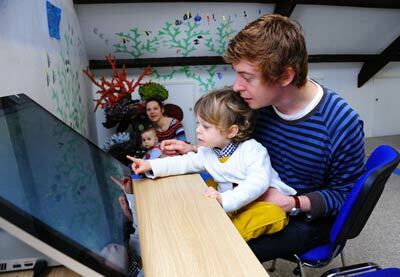 The children's play area is a fun way for younger children to learn about ocean life, with interactive games and marine artefacts- including a real harbour porpoise skeleton.